The Jazz Journalists Association has announced the nominees for the 2018 JJA Jazz Awards, which celebrate excellence in music and music journalism in thirty-nine awards categories. 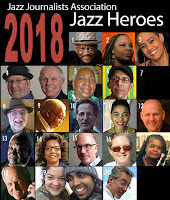 Topping the list are Benny Golson, Charles Lloyd and Ahmad Jamal for Lifetime Achievement in Jazz and Will Friedwald, Ben Ratliff and Patricia Willard for Lifetime Achievement in Jazz Journalism. Complete nominee list. 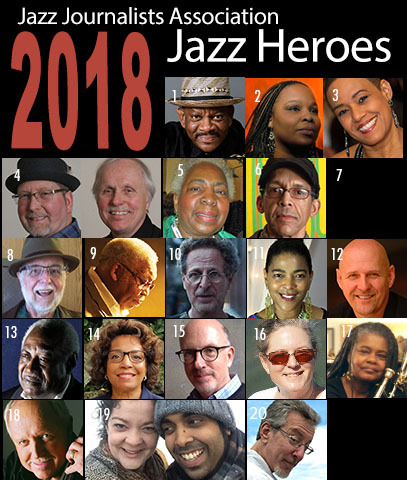 JJA Professional Journalist members are voting now for 2018 Jazz Awards winners, who will be announced online at JJAJazzAwards on May 7; most will receive their engraved statuettes publicly at their summer performances across the U.S. A Jazz Awards party has been scheduled for June 12, 2018, to be held at Arnold Hall of the Theresa Lang Community and Student Center, space generously provided by the School of Jazz at The New School NYC. Mark your calendar now-- details coming soon.